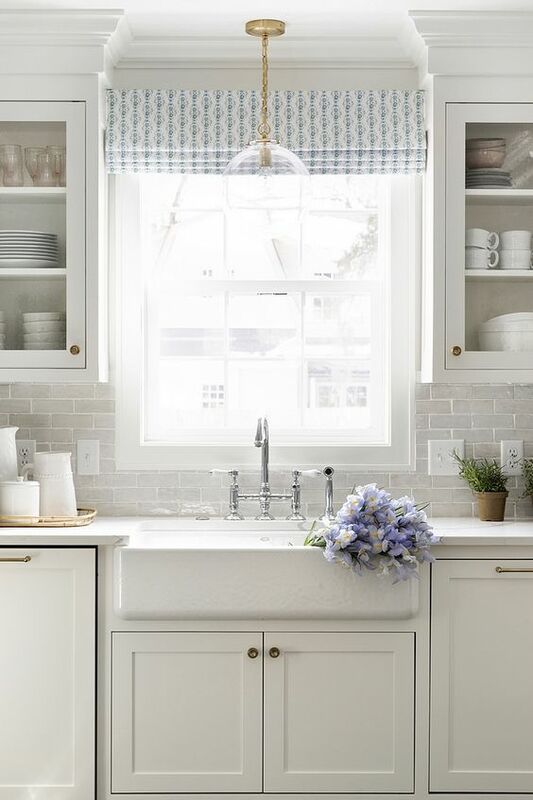 There’s just something charmingly timeless, tranquil, and lovely about blue and white kitchen decor, and we’re celebrating 40 pretty blue and white kitchen ideas today with these inspiring pins for you to consider. 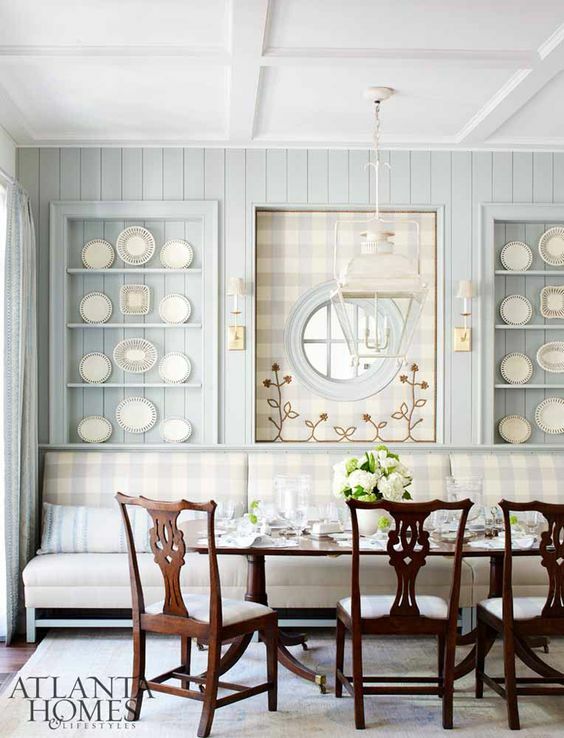 I have a little experience with blue and white decor at home, but you have to venture back into our home history. 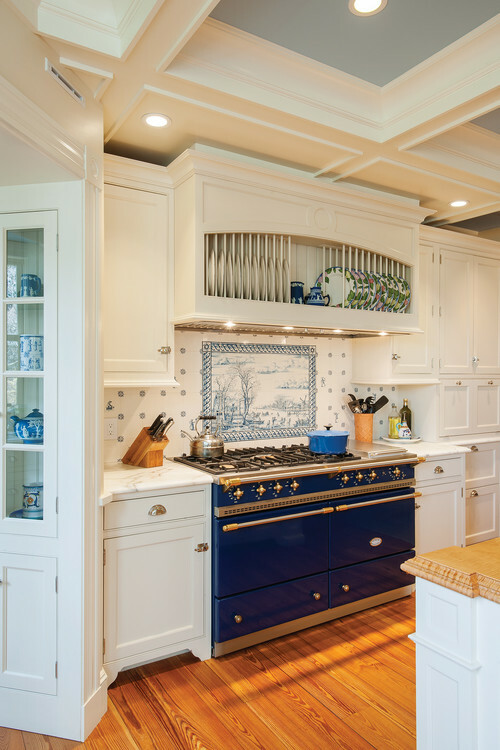 In our first home in Elmhurst, Illinois, we gutted a tiny 1920’s kitchen and created a navy blue and white kitchen we found charming and beyond cozy. We painted a statement wall in our bedroom a deep blue, and chose periwinkle blue and white for our son’s spaces. 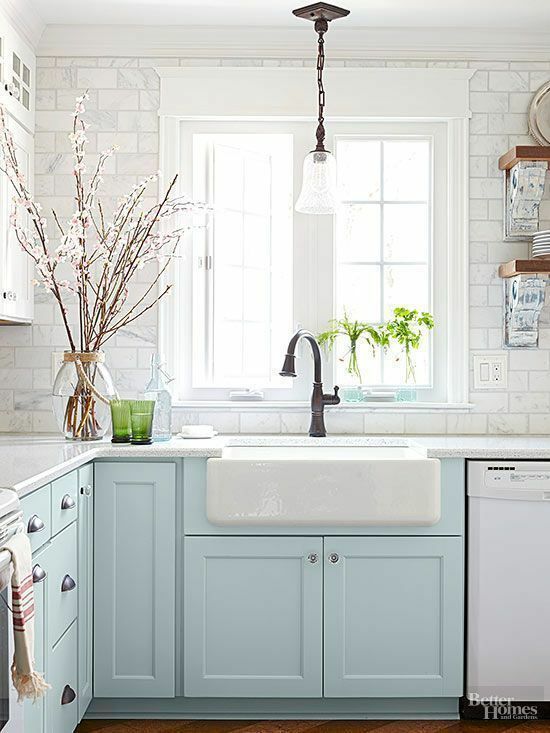 The kitchen in our next builder’s special home got a major customized redesign with subtle mint green accents, and more blue and white in the bedrooms. 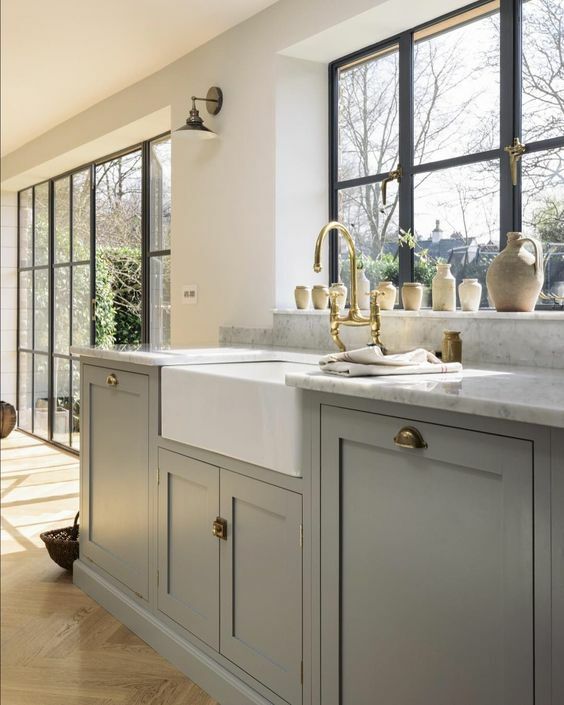 Then came two very neutral brand new kitchens and more tranquil blue bedrooms before we landed at the fixer upper where we opted for a crisp classic white with light grey accents. 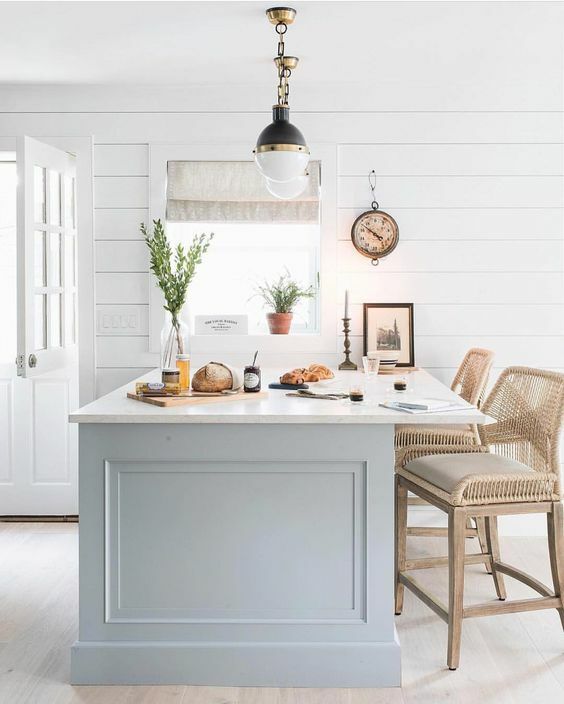 When we bought the vacation cottage in Arizona, I was ready to makeover the red kitchen we inherited into a serene, blue-grey, Nordic French style one, and handpainting the cabinets blue-grey turned out to be my favorite part of the transformation since the mood instantly quieted. Pale blue remains my favorite color after white. Photo: Victoria Pearson. Designer: Parrish Chilcoat and Joe Lucas. Source: House Beautiful. 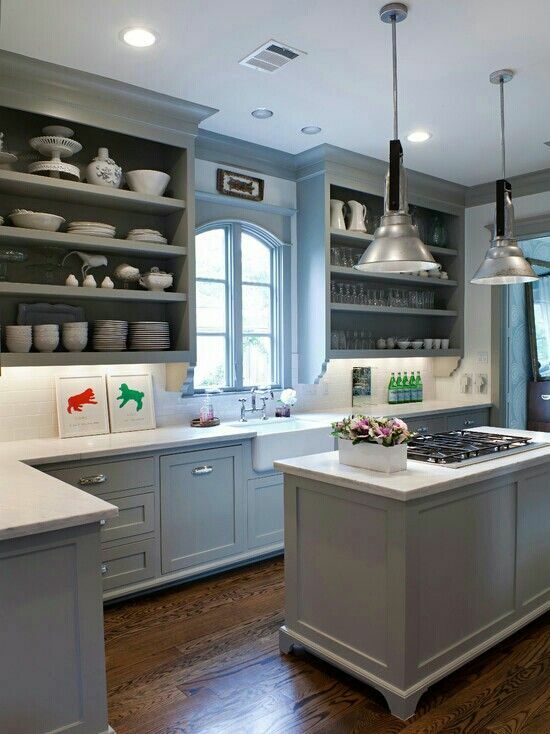 Kitchen cabinets are painted FARROW & BALL Down Pipe. 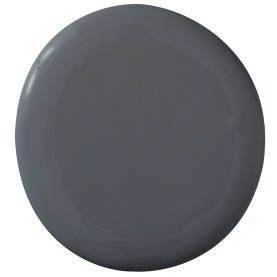 Island is painted BENJAMIN MOORE Chelsea Gray. A sound track to accompany the blue kitchen photo gallery? Why not? Here’s one of my favorite Roy Orbison songs mentioning the color of the day and easing my mind back to a simpler time…if you don’t have time to listen to her whole performance, definitely don’t miss the gorgeous vocal moment at 4:00! 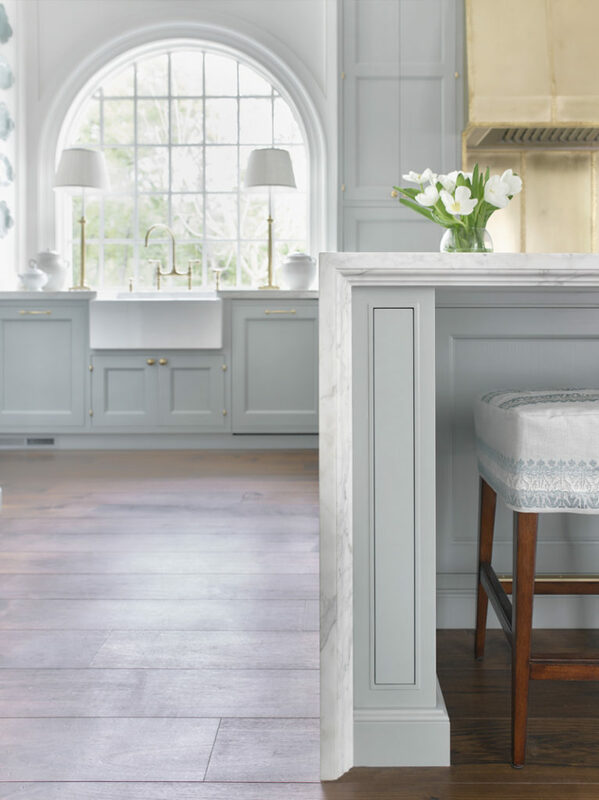 Best Beautiful Blue and White Kitchens to Love! While I have a bit of experience with blue and white decor at home, we have to venture back into my real estate history. 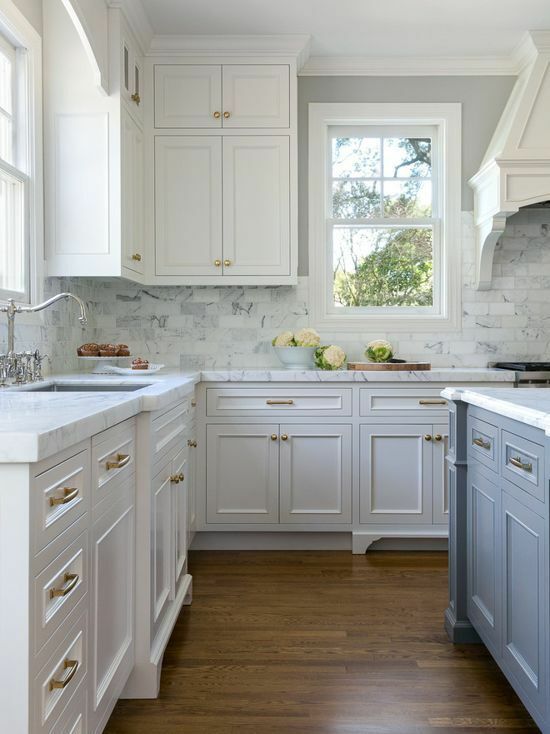 In our first home in Elmhurst, Illinois, we gutted a tiny 1920’s kitchen to create a navy blue and white kitchen. It was tiny, charming, and beyond cozy. In that same home, we painted a statement wall in the master bedroom a deep indigo and chose periwinkle blue and white for our son’s bedrooms. 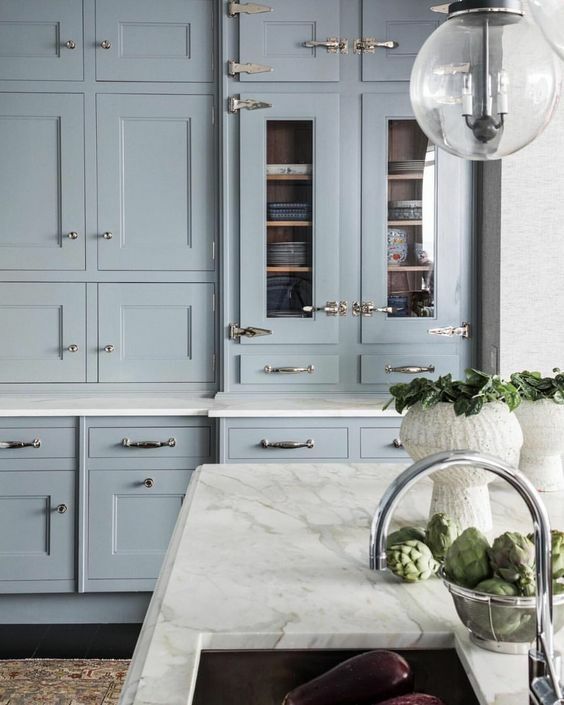 The kitchen in our next builder’s special home received a major customized redesign with subtle mint green accents, and more blue and white in the bedrooms. 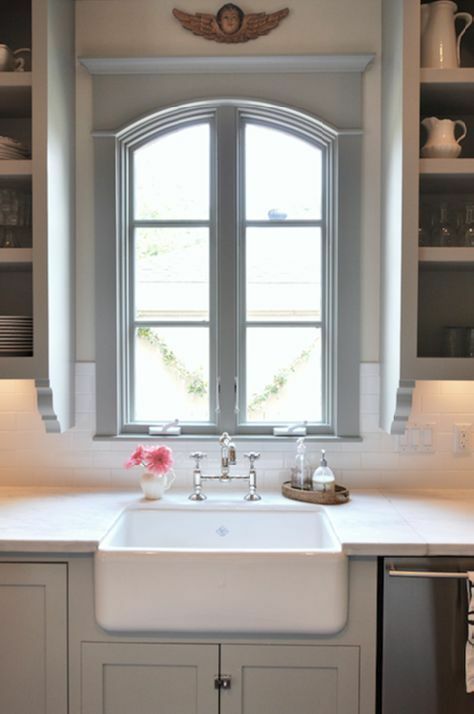 Our next two kitchens remained very neutral, but there were tranquil blue bedrooms before we landed at the fixer upper where we opted for a crisp classic white with light grey accents. When we bought the vacation cottage in Arizona, I was ready to makeover the red kitchen we inherited into a serene, blue-grey, Nordic French style one. 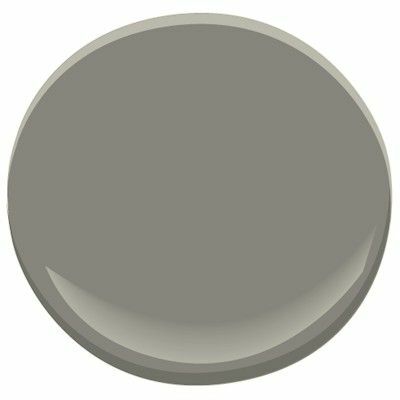 I hand-painted the cabinets blue-grey, and the kitchen turned out to be my favorite part of the transformation since the mood instantly quieted. Pale blue remains my favorite color after white. 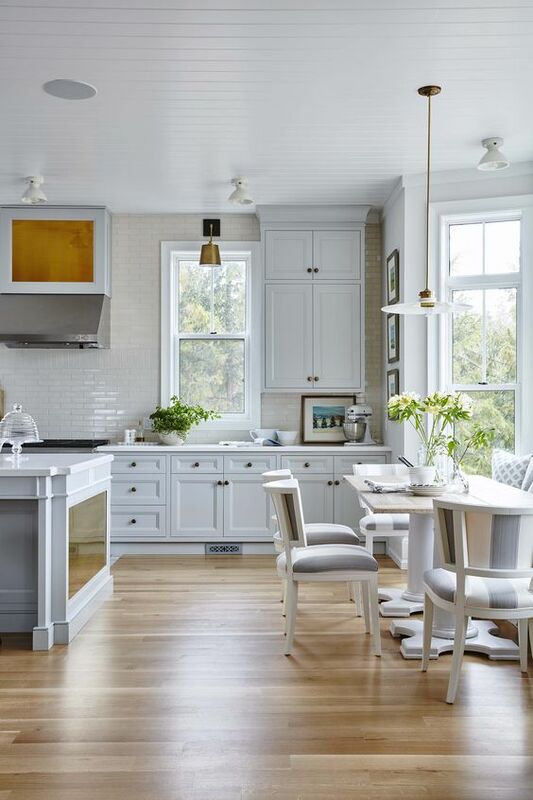 These blue and white kitchens provide miles of inspiration beyond the beautiful color palette. 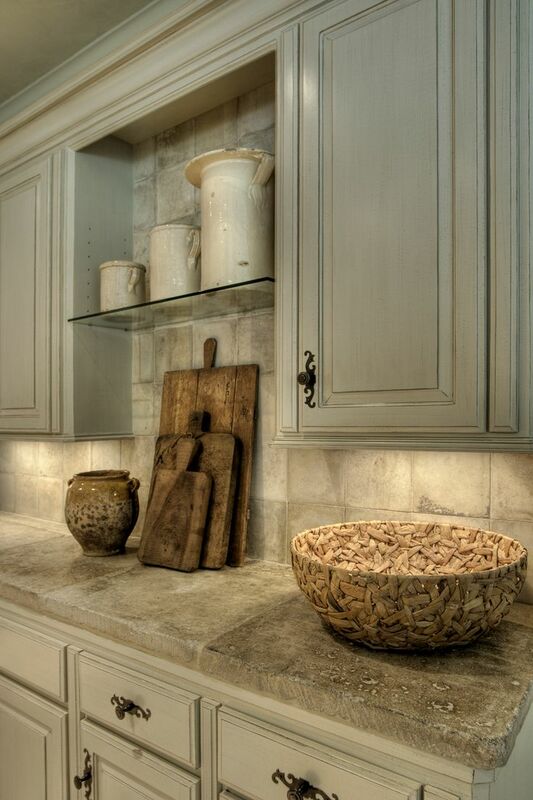 You’ll find ideas for kitchen islands, kitchen pendants, beamed ceilings, tile flooring, kitchen sinks, and much more. Meet me at the finish line and share the number of your favorite(s)! 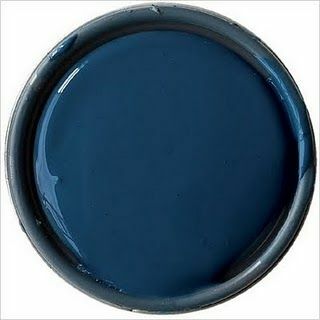 I also learned from color psychology research how blue is an unappetizing color which is curious since so many folks love blue in the kitchen! 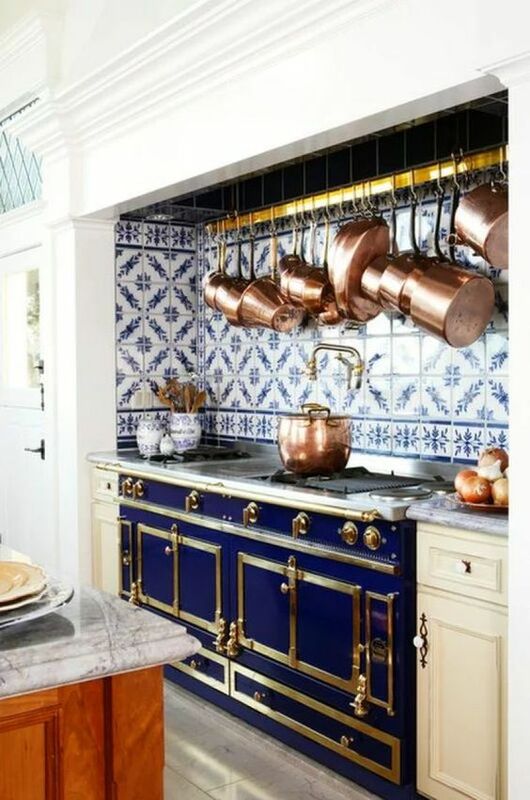 Is blue kitchen decor for people who are watching their portions or maybe attractive to folks who don’t do a lot of cooking? Food for thought. 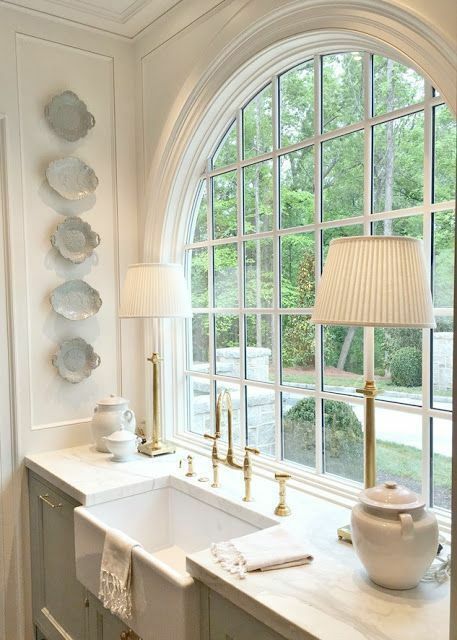 Did you pick a favorite kitchen above? I’d love to hear about your preference! 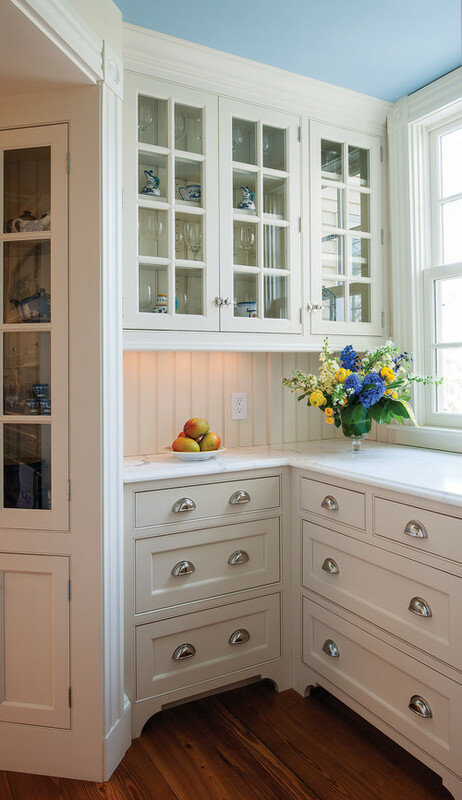 I bet you’ll love these stories with more kitchen inspiration! I needed this today on a snowy Cleveland morning! One of my favorite posts ever, love blue and white, thank you! I needed this too, on a snowy Toledo morning! Inspiration abounds in your posts, Michele! Thank you! I have a blue and white kitchen, too! 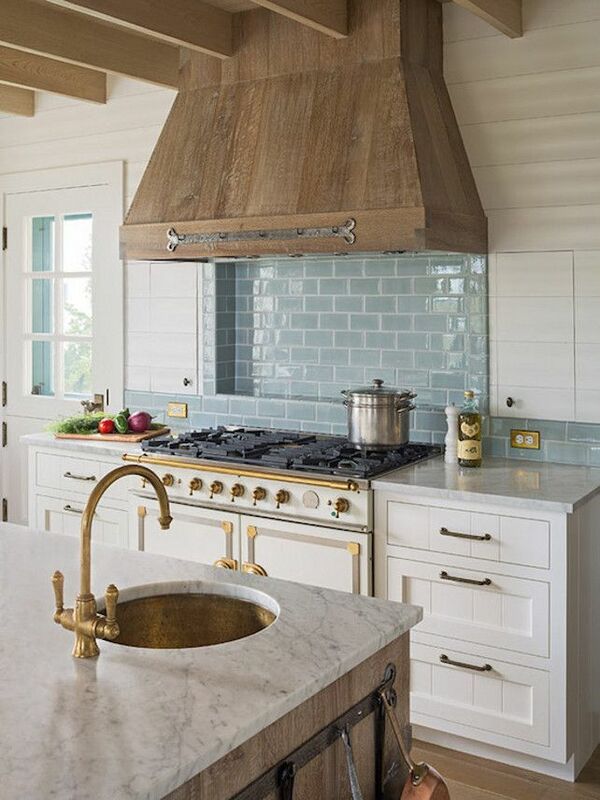 Actually, the shell is almond, both upper wall paint and subway tile, as well as onyx counter tops, but Blue Willow dishes and a deep blue French soup pot fool the eye into seeing a blue and white kitchen. Next step would have been to paint the cabinets white or deep blue but for the fact we’re getting ready to put the house on the market. Next place? 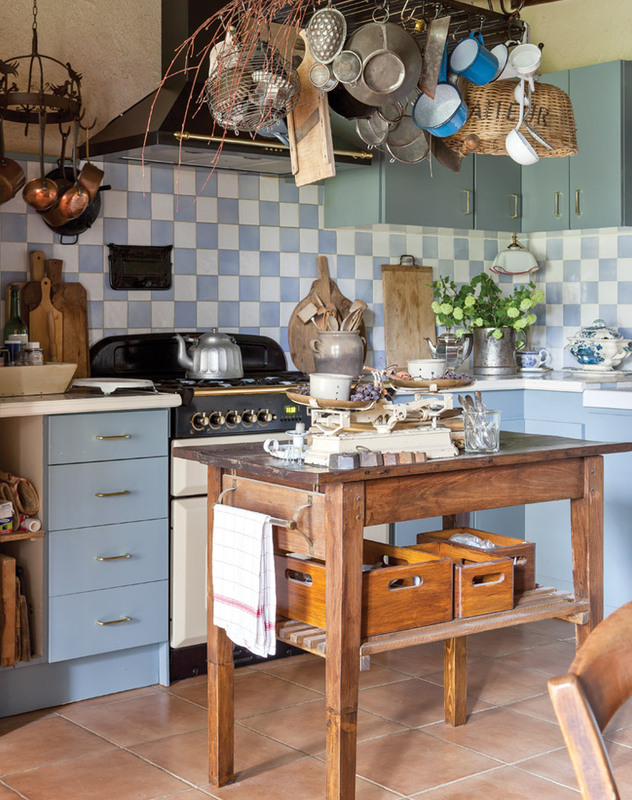 You’ve got some dreamy kitchens here. I’ve never been a blue kitchen person. But the variety of blues available now vs in the 1970’s is enough to change my mind. I’m loving the new navy & gold theme. 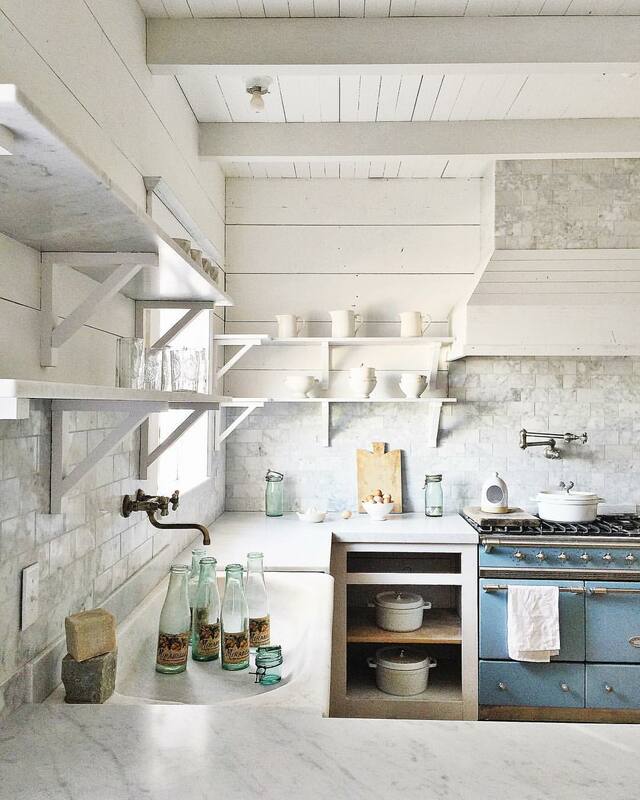 I really liked these white and blue kitchen decoration ideas. Thanks for sharing these ideas.